A photo blog with photos taken by me in Kuwait, inspired by http://chennaidailyfoto.wordpress.com run by my webmate N Ramaswamy. Do leave your comments, it will inspire me to capture interesting things and post here. In the virtual world there is Google having the most popular adsense advertisements that are targeted and very contextual; check the google advertisements in this blog and tell me if they are targeted and relevant. Ad-Sense also prevails in the real world. 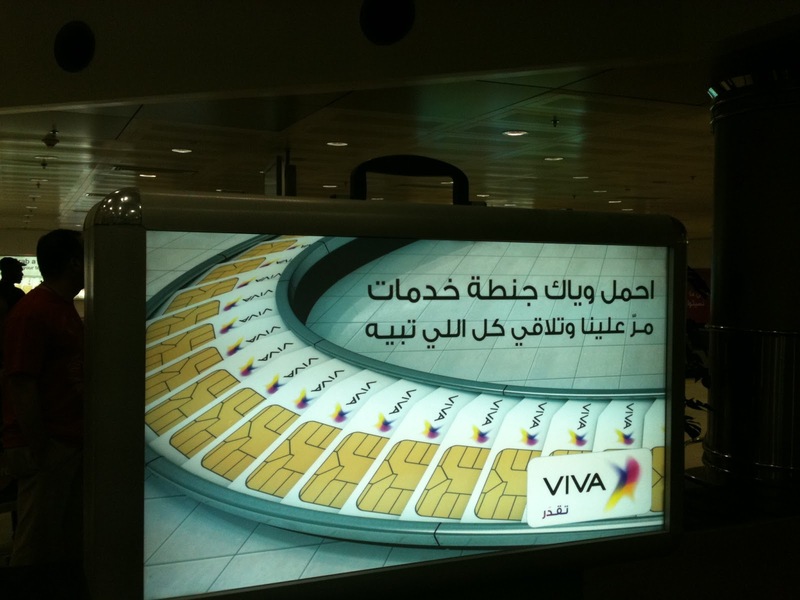 Seen in the picture is the advertisement of VIVA, one of the three mobile operators in Kuwait, strategically placed at one of baggage carousel in Kuwait International Airport. Good news in the wash room? (c) R Sathyamurthy. Picture Window theme. Theme images by Lingbeek. Powered by Blogger.